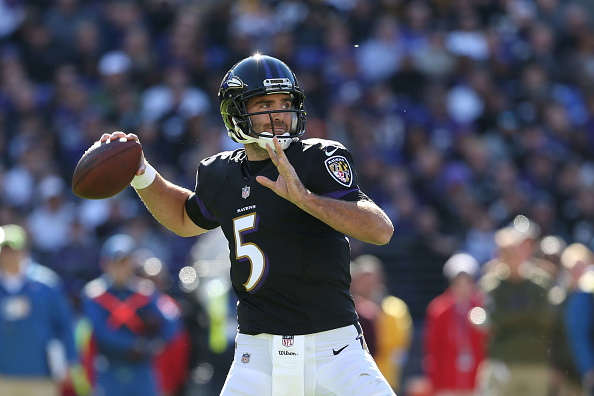 According to ESPN's Adam Schefter and several other media reports, the Broncos have agreed in principle to trade for Ravens quarterback Joe Flacco. And of course, it was a move for a quarterback, this time, arranging to trade with the Ravens for 34-year-old quarterback Joe Flacco, a move that will become official March 13. Flacco lost the starting job in Baltimore to Lamar Jackson, the 32nd pick in last year's draft. Keenum signed a two-year deal with Denver last offseason, but struggled throughout his first campaign in the Mile High City. After the conclusion of the 2018 season, it was only a matter of when the Broncos were going to acquire another quarterback. He finished last season with 2,465 yards, 12 touchdowns and six interceptions. This move will help the Ravens save 10.5 million dollars in cap space and now Joe has found a new team that will give him another chance to be a teams starting QB. Flacco, 34, is a career 64 percent passer and has thrown for 38,245 yards in his 11 National Football League seasons. As things stand now, Keenum is scheduled to make $18 million in base salary in 2019, which includes $7 million in guaranteed money. The Broncos also have the No. 10 pick of the draft, with picks in the upper third of the second and third rounds as well. He spent 11 seasons with the Ravens and was the MVP of their Super Bowl triumph over the San Francisco 49ers to conclude the 2012 season. The Delaware product has won 106 career games - including postseason appearances - and thrown for 212 touchdowns and more than 38,000 yards. It's likely the trade involves draft picks in some capacity, but Flacco's contract may not result in multiple picks being sent to the Ravens. The demand at the position is one reason Denver pounced on Flacco. So quarterback should, and will, get a long look from the team in the buildup to April. The Ravens were 4-5 under Flacco before Jackson led them on a 6-1 tear to earn a playoff appearance.